John Deere added the new Z960M zero-turn mower and the modified Z970R ZTrak mower to its 2016 commercial mowing lineup. The Z960M is available in three deck offerings: 60 in., 60 in. Mulch On Demand (MOD) or 72 in., and features a 31-hp engine. Additionally, the Z970R now offers two more deck options: 60-in. side discharge or 60-in. MOD. 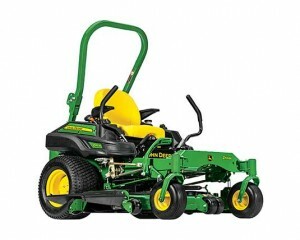 In addition to the new offerings, John Deere said it implemented improvements across all of its commercial zero-turn mowers. The current push/pull PTO switch is replaced with a toggle style switch, and front tie- down points were added to improve securing the machines on a trailer. Additionally, John Deere and EnviroGard recently announced the expansion of the propane conversion program for John Deere dealers and their customers. The program now encompasses 36 different John Deere commercial mowing models, including 21 zero-turn mowers, seven QuikTrak stand-on mowers and eight commercial walk-behind mowers.